Friend Grief in the Workplace: More Than an Empty Cubicle, the fifth book in the series, comes out in a few weeks. The second book in the series is updated each year with new statistics and resources: that means Friend Grief and AIDS: Thirty Years of Burying Our Friends will be re-released in March. A new website will be unveiled in February, with not only this blog, but discussion guides and expanded resources for each book. More ways to find my books. In addition to Amazon, IndieBound, Kobo, Barnes & Noble, they’re now available from The Grief Toolbox; coming soon on iTunes. When the sixth is done, I’ll be bundling them into one volume. That complete volume will also be released in an audio version. More opportunities to see me at speaking engagements at nonprofit organizations and book-related events. 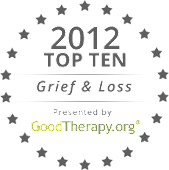 More freelance articles like this one on The Grief Toolbox. Not all will be grief-related. After all, my first paid freelance article was about the trials and tribulations of being a St. Louis Cardinals fan married to a Chicago Cubs fan. Formal announcement of the somewhat intimidating book project that will follow the Friend Grief series. It’s been rumbling around in my head for almost a year now, and is moving forward more quickly than I anticipated. Yes, it will be another busy year: sharing stories of people like you who grieve the loss of their remarkable friends. And as usual, you won’t be surprised to find that they use that grief to create a better life, not just for themselves, but those around them. Wishing you all the best as we head into the great unknown of a new year: one that is full of possibility, excitement and hopefully, peace. Congratulations, Vicki, on all the true grit and persistence that have helped you reach this point. All I can say is Wow! 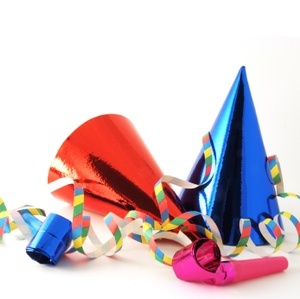 I wish you ongoing success in 2015. You go,girl! Thank you, my friend! Continued best of luck to you, too!